The AMD Mobility Radeon HD 6970M Crossfire (or sometimes called ATI Mobility Radeon HD 6970 X2) is a combination of two high-end graphics card for big and heavy laptops. Usually, each single card renders a single frame (AFR mode). Therefore, it may suffer from micro stuttering in low fps ranges of 30fps. This happens because of different timespans between two frames (e.g., irregular delays between sequential frames). The HD 6970M is most likely based on the desktop HD 6850 graphics card. The codename of the mobile core is Blackcomb XT and it should have a similar power consumption as the GeForce GTX 480M. According to the roadmap ,the Blackcomb-based chips should feature the UVD3 video processor and Eyefinity+ support. 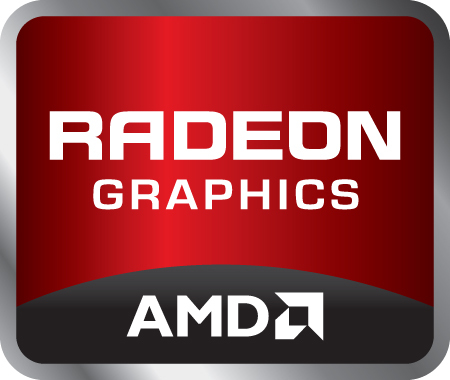 The AMD Mobility Radeon HD 6950M (or sometimes called ATI Mobility Radeon HD 6950) is a high-end graphics card generally used for big and heavy laptops. It is based on the desktop HD 6850 graphics card and therefore features the new UVD3 video processor, increased Tessellation performance and Eyefinity+. The codename of this GPU is Blackcomb Pro and it should have similar power consumption as the GeForce GTX 470M. Compared to the faster HD 6970M, the 6950M's core is clocked slower by at least 100 MHz. The 960 Stream processors should be still based on the "old" 5D architecture, similar to the 5000 series. Therefore, the number of shaders in the 6950M is not comparable to the 1D cores of current Nvidia GPUs. The Tessellation performance, however, should be improved (like the desktop 6800 series) with the new cards. The Stream processors can be used with DirectX 11, OpenGL 4.1, DirectCompute 11 and OpenCL. With the latter two, the cores of the 6950M can also be used for general computations like video transcoding. The 3D performance is on par with the GeForce GTX 470M in the high end class of notebook graphic cards. For gamers, this means that the Radeon HD 6950M is able to fluently play most modern games (as of 2011) in high detail settings. Only Crysis and Metro 2033 will stutter in the highest detail settings at 1920x1080 resolution (see below). Furthermore, the HD 6900M series integrates an HD audio controller to transmit HD Audio (TrueHD or DTS Master Audio) over HDMI and DisplayPort (e.g., for Blu-Ray videos). Thanks to Eyefinity, the graphics chip is able to theoretically drive up to 6 monitors simultaneously provided that the notebook itself has enough video-out ports. The power consumption of the 6950M should be similar to the Nvidia GeForce GTX470M and is therefore only suited for medium to large laptops with good cooling solutions.